March and April have brought out a couple visitors to the group - welcome everyone. We've had a chance to look at interesting items from Sammy's parents involvement in WWII along with Trudi's binder full of historical items of her father's. Now that warmer weather is here we hope to get out to meetings and maybe a field trip or two! Join Us! Dan Schroeder, from the Wright Museum of World War II in Wolfeboro, NH, presented his WWII Traveling Trunk program. Twenty-four people attended this program and were shown many interesting pieces of memorabilia from the War Front and the Home Front. Dan was very knowledgeable and answered many questions. We were able to go up and see the items following his presentation. Cyndi Twombly lead a Genealogy for Beginners Workshop at the Barrington Library. There were two sessions - Friday, March 6th for one hour and again on March 14th for 1 1/2 hrs. There were several club members attending along with ten new people who want to get started on their families genealogy! We haven't had much activity here lately - and now that winter is on the way out we hope our motivation rises along with the temperatures! Please join us during our monthly meetings - the first Wednesday of each month at 6pm in the Barrington Public Library. Come with questions, great finds, dead ends and encouragement for each other to keep looking for those clues to our family histories! Wendy gave a power point presentation to help members learn how to find ancestors in the newly released 1940 Census. It has not been completely indexed yet, so an Enumeration District (ED) is needed for the state your ancestors lived in, which can be found if an address is known for 1940. 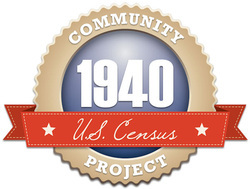 This census will be available FREE of charge to the public through the national archives at 1940census.archives.gov. The 1940 Census contains supplemental questions on the bottom of the forms which asks additional questions of whoever is listed on lines 14 and 29.... birthplace of parents, native tongue, if a veteran/of which war, if they have a social security card, industry or occupation, and married women - how many times were they married. Also interesting in this census was that whoever was answering the questions for the enumerator had an X circled after their name on the census - now we know who gave the information (if there were inaccuracies). Information on INDEXING the census was also given and a short demonstration on how easy it was. This census is being indexed by thousands of volunteers - and the opportunity is there for anyone to help. 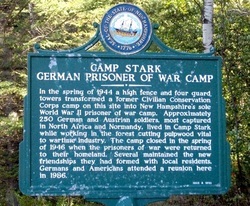 April's meeting was postponed from the 4th to the 11th - so the group could join the Barrington Public Library program "Camp Stark: New Hampshire's Prisoner of War Camp during WWII" with author Allen V. Koop. A very packed room of people enjoyed Mr. Koop's powerpoint presentation which included a little history of prisoner of war camps, Camp Stark and it's occupants and a variety of photos of the men there. On February 1, 2012 Mr. Closs shared background of New Hampshire's contribution to the Civil War, background to some battles and specifically shared the story of 16 men from Barrington who gave the ultimate sacrifice. 47 people attended this presentation. Portsmouth Athenaeum is an Historic Library and Museum located in Portsmouth, NH. We had a volunteer, Hannah, come speak to our group at the November meeting. Hannah shared the history of the athenaeum and some of the special materials available for research. On Saturday, November 13th the group went on a field trip, and librarian Robin Silva led us on a tour of the library and the exhibit rooms. The exhibit rooms on the original side of the building were marvelous just to walk through, and there were many interesting items, photos, books from NH history on display. Our group has been meeting regularly with average attendance of 10-12. A few members have made headway on recent travels. We are hoping to put together a few field trips and are looking for guest speakers for our group. SUMMER 2009 Summer has been busy for some of our members. We have had the chance to meet monthly and informally share what we have all been working on...new finds, road blocks, new resources, etc. Members have been looking forward to the October meeting when we will have author Diane Rapaport as a guest speaker. The Barrington Public Library will be able to fund the majority of her speaking fees and the Barrington Genealogical Society will be covering at least the mileage cost. We are taking donations at this event in hopes of total funding. Members are encouraged to tell friends and family, and have been sent a copy of the flyer via email on August 26th to post in public places. Because of the potential attendance we have secured the use of the Meeting Room at the Town Hall at 41 Province Lane, Barrington, NH. September's meeting will include discussion of this event and any other needs of the sponsors and speaker. April's meeting had 11 people present. Account balance was shared with members and donation box was placed on table. This was later counted in front of members and tallied in book. This meeting we asked if any members had information they would like to share to bring it tonight. Ellen shared a little of what Family Tree Maker software offered. She was able to connect her laptop to the library's LCD projector so all members could view easily. A quick demonstration of some of the features included how information was compiled into reports, pedigree charts, alphabetical lists, and a world map with an alphabetical listing of places and which ancestors lived there. She showed us how you can input adoption, marriage/divorce, and personal information. There was discussion of who had the software, more features and it's price. Trudi shared a detailed list of the benefits of joining the New England Historical Genealogical Society. Along with publications, she listed materials available through the web site and on-site for members. They have access to millions of records, genealogies, books and genealogists for assistance. She is willing to share her publication that she gets through her membership with our members (sign out in green notebook- name, vol.& no. and when returned). She encouraged members to read and take notes, but to adhere to copyright law and not photocopy information. Anne Marie shared a small book written by Martha Long on genealogy. She read the author description and recommended this book to members. It is a book we have here in the Barrington Public Library collection. There are so many interesting books that it is wonderful to share when we find a "good" one. Wendy passed around some photos she was able to obtain on her recent visit to her"last liviing aunt". Along with stories she was able to scan small pictures and take photos of larger papers. Interesting photos of her grandmother butchering a bear and her aunt at six years old holding a rifle! It's great to share when you find something or someone in your search. Robert attended the New Hampshire Society of Genealogists' meeting on March 28th and he shared notes of guests speakers from the NH State Library and the New England Historical Genealogical Society. He mentioned the NH State Library has access to many town histories, census records and the Sargent Index on microfilm. The Sargent Index holds many early town records. Robert also spoke about the vast resources down at the New England Historical Genealogical Society. Robert spoke with a researcher at the LDS Family History Center in Exeter about arranging a small tour for our group. It was agreed upon to try and schedule a trip down on Friday, May 1st, 6-8pm. Robert will try to arrange this and an e-mail will be sent to members to confirm. If you visit their web site, www.familysearch.org you can click on the Library button and see some of the materials you could have access to through the center - including microfilm being sent to our local Family History Center to use. March's meeting had approximately nine people attending. Wendy shared total in the Society's account. Reminded members of the donation of money to the library ($32) toward a subscription to New Hampshire Historical Society publication with library pass. The pass provides entrance for up to 4 people to the NH Historical Society's library (normally $7 for non-members). We also purchased a subscription to "Internet Genealogy" for the library, and the first two issues have arrived! Robert walked us through an organizational system for recording and filing our genealogical information. He used color coding to represent the first branches in the family tree...example: blue for self and the father's surname, red for mother's surname, green for paternal grandmother's surname and yellow for maternal grandmother's surname. If anyone else uses a simple filing system that they feel would be beneficial to others and would like to share, please contact Wendy to make sure time is allotted at a future meeting. Trudi shared information about the New England Historical and Genealogical Society and the benefits she has. She is willing to bring in the Registers she receives for members to look through during meetings to see if there are any family genealogies connected with our own searches. Again, if you could put a list of books you have available at home that you would not mind bringing to a meeting for others to see that would be helpful. Give to Wendy at next meeting. Have you seen a good book out there that you think the library should have? Bring suggestions to meetings. The NERGC (New England Regional Genealogical Conference is in Manchester, NH on April 22-25. This is a great opportunity to attend great workshops, network with other genealogists and see vendors from all over. The vendors are open to the public - no registration required - good chance to see up-to-date materials. If you are attending the conference it might be possible to share rides or attend some workshops together. The donations from this meeting were counted with members present and the balance is available at meetings. Hope to see everyone at next month's meeting - April 1st. We'll have time for sharing what we are each working on! See you then! February's meeting was held Wednesday, the 4th of February at the Barrington Public Library with nine in attendance. The meeting started off with Robert sharing ideas of books that are available at a discount. He mentioned how he finds titles on e-Bay and Abelbooks.com. He had a few dupllicate books with him if anyone was interested in purchasing them. 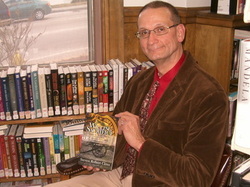 The club voted on purchasing a copy of "Plugging Into Your Past" for a donation to the Barrington Library. He also had copies of "Walking With Your Ancestors" and "Genealogist's Companion and Sourcebook" available. See Robert if you are interested in buying one from him. Cost is $8.00 each. He also showed the group two magazines that he thought were very good. "Prologue" which is a published quarterly by the National Archives. It is mostly historical and would be better suited for the library to subscribe to. The other was "Internet Genealogy" which is published bi-monthly. We passed around a couple issues and discussed that the group could purchase a subscription for the library - that way it would be available to everyone. It was voted on and agreed to do so. Wendy confirmed with Amy, the library director, that the library has room and would appreciate the gift subscription. It was ordered and will begin shortly. All members are encouraged to look up books they are interested in and feel would be a good addition to our library. We can then check to see if they are in neighboring town libraries and available for inter-library loan. If they are not available and we feel they could be used by others we will consider purchasing them and donating them to the library. Ellen said it might also be a help to everyone in the group if we had a list of our personal books at home to bring to club so others will know what we have. Books could be brought in to meetings or possibly loaned to each other at member's discretion. Robert put forth for consideration we change our name to "Barrington Genealogical Society". It would smooth the way if we wanted to join other societies in the future. The group discussed and all agreed that it would be a good change. From hereon we will be called the Barrington Genealogical Society. Wendy informed members that there was a total of $32 donated (separate from regular club donations) to be given to the Barrington Library toward the 'library' subscription to the New Hampshire Historical Society magazine (a $60 cost) which includes four passes to their libraries for patrons to use. This was not taken out of club money, but was donated by some members who wanted to help purchase this subscription. Wendy passed this contribution on to the library director, who was pleased with this donation. Thank you to those who contributed! The group then discussed the recent trip to the Springvale Public Library. All were very impressed with the three genealogy rooms upstairs. We had a very nice volunteer, Pauline, show us around and help with research. We found many books to look through, and a few members searched through microfilms. It was noted that this library just became a LDS Family History Center. We all felt this was a great field trip. Our next field trip planned is for Saturday, May 9th to the Massachusetts State Archives. An archivist with give us a tour of the facility and help us get started on research. Time and carpool information will be confirmed at future meetings and reminders sent out through e-mail. -Our next meeting is Wednesday, March 4th. -The New England Regional Genealogical Conference coming up April 22-26 in Manchester. Robert has a couple conference flyers with registration info. -The Strafford County Genealogical Society is meeting Saturday, February 7th in the McConnel Building next door to the Dover Public Library 10:30-12:00N. We enjoyed general discussion among members sharing what they have been working on. Everyone is encouraged to bring any information to share at our next meeting on March 4th! This meeting's donations were counted with members present, and balance is available for members to see during scheduled meetings. See you in March! Invite a friend or family member. Good luck with your searches this month! Our January meeting was held Wednesday the 14th at 6pm. Ten people attended. Thanks Noel for bringing drinks. We have some left for next meeting. Robert shared that he arranged a field trip to the Springvale Public Library for this coming Saturday, January 24th. A volunteer will be there to show us around the three rooms of genealogy/history material and get us started. We will meet at the town hall parking lot at 9:15am to leave by 9:30. We will organize who is interested in carpooling at that time. If you are driving from home the address is 443 Main Street, Springvale, ME 04083. Robert also passed around copies of genealogical magazines and discussed how it would be a good investment of the group to purchase the subscription for the library so many could have access. The group agreed. We did not select any title, but we do want people's opinion on some that they have read. The library currently subscribes to Family Tree Maker. He passed around "Internet Genealogy", "Prologue" and "Your Family History" w/CD. Do you have any different ones? Bring a copy to the next meeting. Trudi shared info relating to New England Historical Genealogical Society (N.E.Hist Gen)... they do have certain days that they welcome non-members to a guided tour of the facilities. I checked on-line and the upcoming New Visitor Welcome & Library Orientation is being held on Wednesday, February 4th at 10am and Saturday, March 7th at 10am. Here's the web address to their site describing what is offered http://www.newenglandancestors.org/events/6592.asp. It's great they offer a weekday and a Saturday! Trudi also shared that NEGHS produces a Journal 4-6 times a year. It could be purchased through her as she is a member and gets a discount. Amy said the library would be interested in purchasing the library subscription to the New Hampshire Historical Society magazine ($75) which includes a pass for up to four people to visit their library (a $7 charge for non-members). Subscriptions for individuals are $40. We discussed that it would be nice if anyone is interested in donating toward this subscription on their own -- it would help the library and if you felt you would like to visit the library anyway-donating $3-5 is cheaper than one visit and then we (and all patrons) would have it available. $15 was donated and Wendy put it in a separate envelope. I will hold onto this at my desk in the library if anyone else would like to chip in just see me! I told the group that I had been in contact with Diane Rapaport, author of "Researching New England Court Records" and "The Naked Quaker". The library is willing to pay for a presentation if we felt we would get a good turnout. She penciled us in for April 1st. Cyndi Twombly said we could get a large turnout if it is advertised and sent to other Genealogy groups in towns/counties/state. She also felt we were a "young" group and would probably benefit more at a later date. It was thought maybe the beginning of October would be better. Many agreed. I shared this with Amy and I am going to contact Diane R. and try to schedule for the first Wednesday in October. I am contacting the Massachusetts State Archives to see if we can go down for a field trip in the beginning of May. We are also finding out more info on the Family History Centers in Concord and Exeter and when we can visit. Do you visit any research facilities? Would you be able to find out their hours and if they offer any tours or have volunteers available to show a group around? Let me know if you have any suggestions. Also, don't forget to bring back brochures for our genealogy binder at the library and club members. Robert shared a cool learning opportunity through www.familysearch.org. They offer on-line research lessons for free - videos are 25-33 minutes. Right now they are teaching about England Beginning Research. Go to www.familysearch.org - click on Library and choose 'Education' on the drop-down menu. Click on the first line 'Family History Library Research Series On-Line' and you'll see the series. You can watch a video or even download them to your computer to watch later. Thanks for sharing this Robert - - I really appreciate the subject "England research". If anyone else finds this type of learning opportunity, whether it be on-line or at a local meeting, please share it at our meetings. If you want to e-mail information to me I will send it out to all members who gave me their e-mail addresses. The National Archives and Records Administration (NARA) in Waltham, MA offers free workshops and tours of their facilities. Check out subjects and dates on their web site at: http://www.archives.gov/northeast/boston/public/workshops.html . Registration is required. FYI: The New England Regional Genealogical Conference is coming up in April in Manchester, NH. It will run Wednesday April 22 through Sunday April 26. Register before February 28th cost is $110, after it is $135 for three-day conference...Thur. Fri. Sat.. There is a workshop scheduled for Weds. for the American-Canadian Gen. Soc. for additional fee of $25, but registrations covers Thur, Fri, Sat. There are other specialized workshops available for additional fees. Reminder: Bring in a list of people you are researching: names/dates/locations. It would be easy to just photocopy the first page of your pedigree charts. We'll keep this in the club binder that will be kept at the library. It will let us see if we have any names in common and if we do any research for each other it is handy to obtain information. Feel free to share info, contacts, materials, questions, etc. at our meetings. Any questions e-mail me or call me at the library (664-9715). If you are going to Springvale I'll see you on Saturday morning! Hope you all get a chance to work on your family tree this month! Future months are fine and we will stay with the first Wednesday of each month. Just a reminder of items discussed at our first meeting...15 people attended. We will have a container for members to put in a donation each month as they feel able. Donations can be used to purchase items for the library, gas for field trips, for speakers who normally do not charge a fee, or any other item agreed upon. We can have refreshments - people can email me if they would like to sign up for a meeting. 1-2 people per month (does not have to be fancy...chips, crackers, cookies, juice, water, etc) - just shoot me an email if you would like to bring something for January's meeting and I'll let everyone know if we have it taken care of. We are waiting to confirm when an archivist will be able to come to our group from the Massachusetts State Archives. They will come for FREE! I've emailed and asked how February looks. I'll let you know as soon as I do. I have everyone's emails, so if you would like to get in contact with someone in our group I can (make sure they don't mind I share their email and) pass it on to you. If you already know you don't mind me doing this just email me back and I will keep a list. As we are our own group (not connected with the library) it is our responsibility to set up tables and chairs and take them down. So if anyone does not mind coming in a few minutes early or staying a few minutes late to help! We are hoping to find people willing to share with our group (free of charge would be great! - we can use our donation that month as a small thank you. If you know anyone who is willing to speak to our group please share with the group (at our meetings or through email - I can forward ideas). The library has an LCD projector and screen that we would be able to borrow if a speaker needed to hook up their laptop for a presentation. Finally - We saw Judy's binder that everyone listed NAMES, COUNTY/STATE, TIME PERIOD. I like that idea to have something to keep names we are working on so others will know in case they go somewhere and find info on them. It would be good to at least have the first page of our pedigree charts (5 generations) and keep them in a binder. Please bring something of this sort to the next meeting and we'll start our own binder. Thanks. I'll be working on it. Please email me if you think we need to add something. PASS IT ON to your genealogy friends!